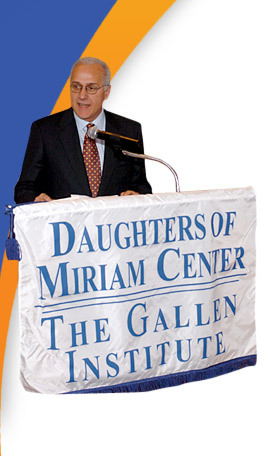 Daughters of Miriam Center/The Gallen Institute’s Ad Journal is a major fund-raiser, engaging the entire community. Individuals, businesses and foundations submit listings in honor of or in memory of a loved one, or simply to show their support for the vital work of the Center. Contributors in the following categories are listed in the book. To show your support and be included in the upcoming Ad Journal, please complete the form and return it to Daughters of Miriam Center/The Gallen Institute, 155 Hazel Street, Clifton, NJ 07011. For further information, please contact the director of marketing and development by clicking on the link or by calling 973-253-5281.